The SPLENDA® SWEET SWAPS™ iniative is encouraging people to make smart healthy lifestyle decisions this holiday season. One way you can do this is by swapping out the sugar that you use in your baked goods for one cup of SPLENDA® No Calorie Sweetener. Did you know that when you swap one cup of sugar for one cup of SPLENDA® No Calorie Sweetener, you save more than 600 calories? And when you consider that the average American woman consumes more than three times the recommended amount of sugar per day, and the average American man consumes more than double the recommended amount, I think it’s safe to save we could all use a SPLENDA® SWEET SWAP™. 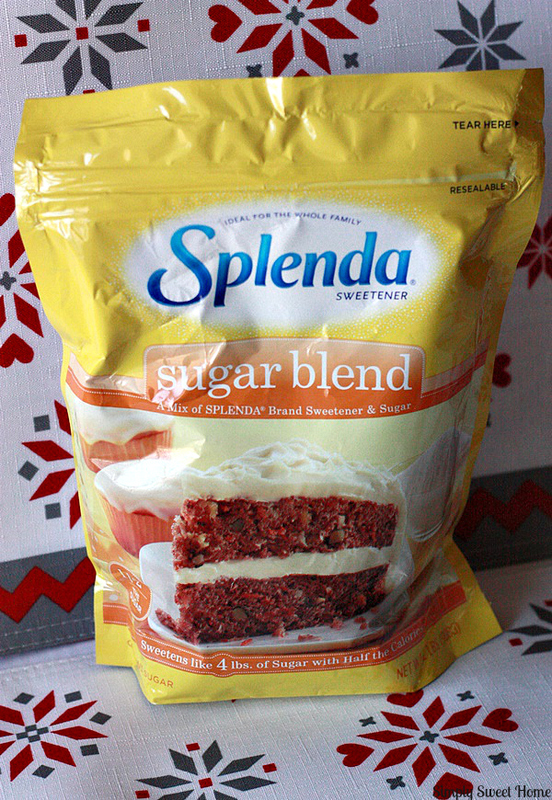 You can find SPLENDA® Sugar Blend and other SPLENDA® products in the baking aisle at Walmart. And you can also order the product on Walmart.com. 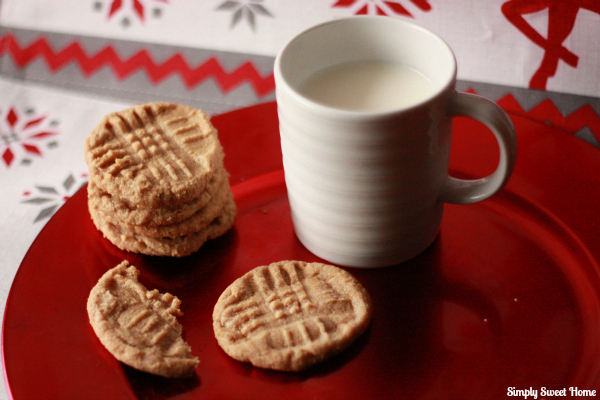 Today I’m doing a SPLENDA® SWEET SWAP™ on a classic favorite: Peanut Butter Cookies. 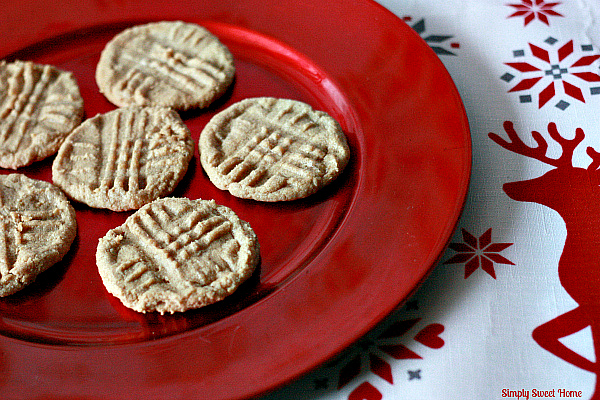 When I want peanut butter cookies, this has been my go-to recipe. One reason is because they are SO delicious. And another reason is because they are easy-peasy to make! I’m the type of person who always has her recipe handy when cooking, even when I’m cooking something that I’ve made hundreds of times, and even on the simplest recipes, because I’m paranoid that I’ll do something wrong…but this recipe is one where I never need to look at my recipe! Preheat oven to 350 degrees. Place all ingredients in a medium size bowl and mix well. Roll out a sheet of parchment paper onto a cookie sheet. 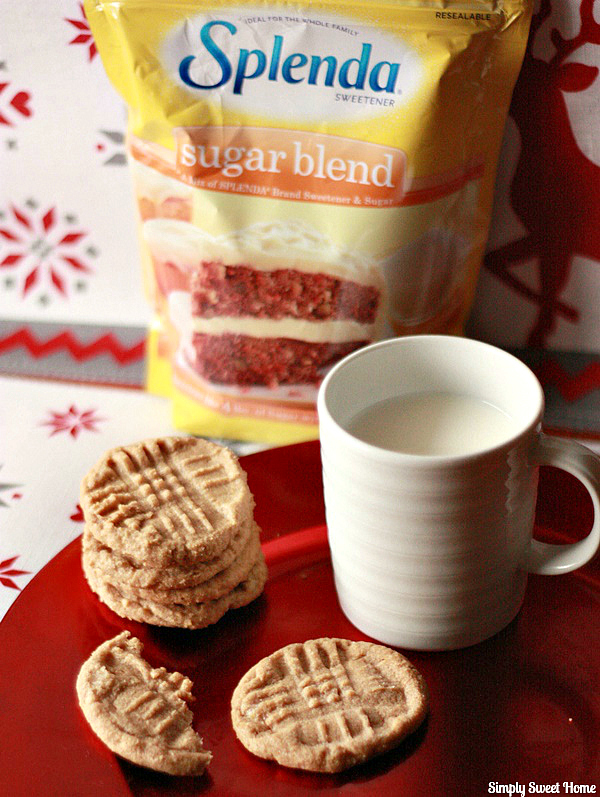 Get a little SPLENDA® Sugar Blend on your hands to keep cookie dough from sticking to you. Then roll your dough in to one inch balls. If your fork is sticking to the cookies, try covering it in a little SPLENDA® as well, to prevent the sticking. Bake 6-10 minutes (depending on your oven). Cookies should be just set in the middle, and not too dark around the edges. Giveaway! 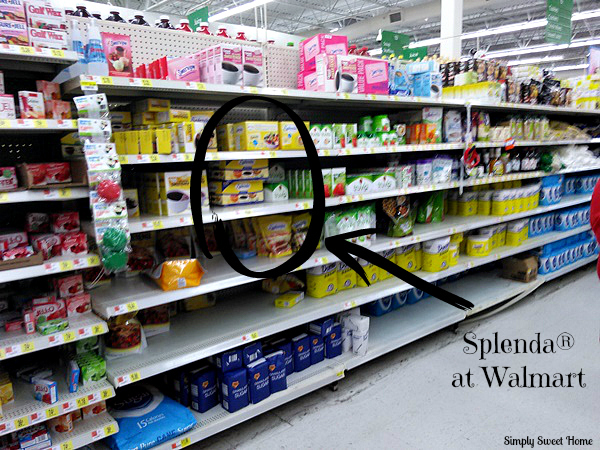 Enter the Splenda® Sweepstakes below for a chance to win $500 in Walmart gift cards. I KNOW you have a favorite holiday recipe! Please leave a comment on this post telling me what recipe you’d like to try with SPLENDA® SWEET SWAPS™. Yes, Carolyn. It also helps that there are only 3 ingredients, which we happen to always have on hand! This sounds too easy 🙂 We love peanut butter cookies. Cheryl, whether you use Splenda or regular sugar, this is the easiest cookie recipe you could make. It’s been my go-to recipe for years! This looks great to use I have not tried it before. I had to pin the recipe so I can try it for Christmas sounds so good. Great! Thank you for the pin! Oh those look so good! I love that its gluten free without the flour! 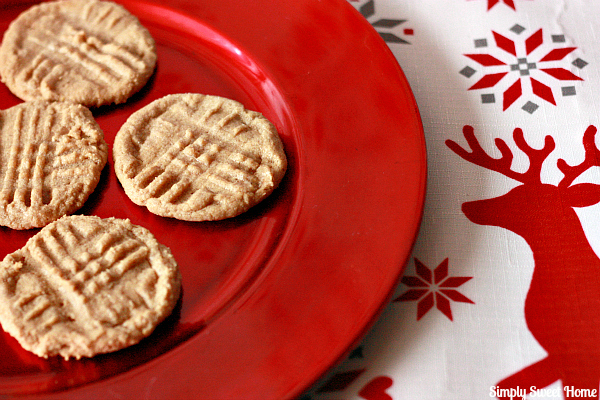 Peanut butter cookies are a family favorite of ours! Yes, Laura, that is a good point. Gluten free is another plus about this recipe! I have made this before and they do turn out awesome! Anyone of the fence should go for it. Yes, Robin. It never hurts to try new things!